32.4% Bullish. 35.9% Neutral. 31.7% Bearish. Moving Averages (daily): The S&P 500 is below its 50-, 100-, and 200-day moving averages, and pointing down. Bonds: U.S. 10-year yield is at 2.13% (on 9/4/2015). Analysis: The sentiment surveys tell us that retail investors and the financial media do not agree whether this is a bullish or bearish environment. 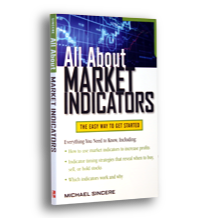 As for me, I rely on the indicators, among other things, and they are telling me this is a damaged market. All of the indexes are below their 50-day, 100-day, and 200-day moving averages, and have remained there for over a week. In addition, many leading stocks are rolling over. This tells me the short-term trend is pointing down, and the odds are high it will be a longer-term downtrend. Wall Street and investors are hoping that the Fed will come to the rescue on a white horse with a bag of goodies: low interest rates and QE4. Unlike last week, the RSI is not oversold, so this market still has room to fall further…much further. Opinion: I don’t remember the market being this dangerous since 2007. 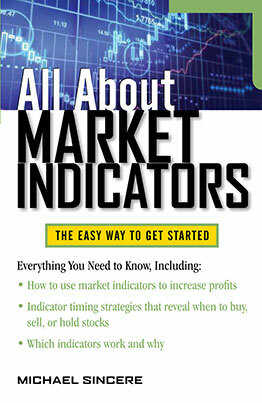 The indicators, along with many clues, are pointing to more selling. As you may know by reading my blog, a month ago, (before the 10% correction), my put options came to life. I started adding inverse ETFs to my portfolio, and that also worked. This tells me that the market is vulnerable, dangerous, and the odds are high we are going much lower. Even when Yellin announces no interest rate hike and hints at QE4, the subsequent rally will likely not last. I feel bad for many individual investors who are being told by the pros to “buy on the dip,” “stay the course,” “look for good stocks to buy,” or the worst strategy of all, dollar cost averaging. Sadly, retail investors are always the last to find out the market has changed and the old strategies stopped working. By then they will have given up much of the paper gains they made over the last few years. In addition, Wall Street is always slow to accept or believe the trend has changed until the market is smashed. Nevertheless, the Fed is the wild card. In the past, when the Fed has initiated QE, the market has rallied. When Bernanke initiated QE3 in 2012, it stimulated the market for another three years. This year, as the markets plunge, there will be tremendous pressure on Yellin to do QE again, and she will do it (perhaps with a different name: How about, “Operation Twist and Shout”?). At first, there will be a tremendous rally. However, if that rally fails, then the market will plunge even harder. I can’t predict it will happen exactly this way, but prudent investors prepare for a market plunge, just as we prepare for a hurricane before it arrives. Better safe than sorry, don’t you think? I could also be wrong. The market could rally back above its 200-day moving average, especially after Yellin announces more QE. In that case, I will still stick to the strategy that has been working: shorting the rallies. (This is the exact opposite of what the so-called experts are advising.) As a trader, I will keep shorting the rallies until the strategy stops working. Bottom line: We are in the middle of a severe financial thunderstorm and it’s getting worse. Based on the clues and indicators, there will be short-lived rallies followed by huge selloffs. Investors would be wise to seek safety (advice very few will take until it’s too late). Because so many investors, including most pros, are slow to recognize the changing market environment, experienced and disciplined traders are going to clean up. 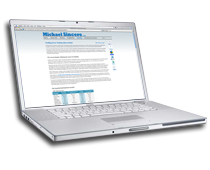 Note to traders: Volatility has returned to the markets and so have trading opportunities. Look for a relief rally on Tuesday that will fail quickly (the most likely scenario). If things are really dire, however, we will go straight down on Tuesday and beyond without an intraday reversal or rally. As I wrote earlier, shorting the rallies has been working, but look out for powerful reversals. 32.5% Bullish. 29.2% Neutral. 38.3% Bearish. Moving Averages (daily): The S&P 500 is below its 50-, 100-, and 200-day moving averages, and pointing up. Bonds: U.S. 10-year yield is at 2.19% (on 8/28/2015). Analysis: A lot of records were broken last Monday. The VIX went from extreme complacency to over 40, one of the highest one-day jumps in VIX’s history. Then the Dow went from the biggest two-day point loss in its history to its biggest two-day point gain. Now that is volatility! As expected, the indexes fell hard on Monday morning as margin calls were initiated. By Monday afternoon, the indexes fell well below their moving averages and caused severe technical damage. On Tuesday, however, the indexes bounced back strongly (the RSI correctly signaled the indexes were short-term oversold), but the indexes were unable to rise above their 200-day moving averages. Believe it or not, that parabolicly strong bounce-back was not a good sign. It’s better if the market has time to recover, rest, and repair the damage before trying to regain those lost points too quickly. A manic-depressive market is not a healthy sign. On the sentiment side, retail investors are feeling less bullish while financial writers and most on Wall Street are hopeful the worst is behind them. Bottom line: The odds are high the worst is not behind them. Meanwhile, expect more volatility this week as various Fed members make conflicting statements and jobs numbers are released on Friday. Opinion: I could write a chapter about the current market but I’ll try and be brief. As money managers and others who work on Wall Street enjoy their final days in the Hamptons during Labor Day weekend, their underlings are telling investors not to panic, buy on the dip, this is a “buying opportunity,” and invest for the long term. Did you see the confused looks on the faces of the hosts and financial commentators on TV? They had trouble keeping up with the many zigs and zags of the market. One clueless commentator even blamed the Monday selloff on panicked individual investors. Ridiculous. Sadly, individual investors don’t know whom to believe or what to do, and unfortunately, many are going to get hurt, and badly. First, the current market is no place for the inexperienced. I know that this is the opposite of the message everyone is saying, but my message is simple: When the market is not acting normally, stay away. To use an analogy, over the last few months we heard thunder in the distance, but now the thunder is getting louder and there is lightning. This is the time to take cover from the rainstorm. The market is a dangerous place right now and most investors would be wise to reduce risk. It doesn’t mean sell everything in a panic (and many can’t sell because of tax reasons), but taking money off the table is a prudent strategy. 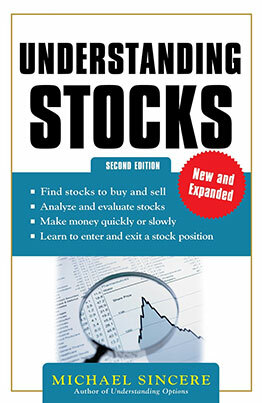 Here’s what I think: I never mind selling a stock or index and missing out if it zooms higher. That doesn’t bother me at all. But what bothers me is when I have a winning stock position and it turns into a loser. I hate that. Many investors have built up gains over the last few years and it will be destructive if those gains are erased. By the way, those are paper gains until they are actually sold. As for me, I like to convert paper gains into real gains on occasion, but that’s me. I’m not a long-term investor. I follow my own advice. I am primarily in cash right now but I’m using a portion to speculate using call and put options (mostly put options). Buying puts is less risky than shorting because I know in advance how much I can lose if I’m wrong. 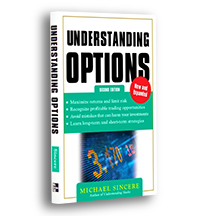 Nevertheless, when you trade options, there is a chance you can lose 100% of your investment, although you’ll usually lose less money than if you short stock. 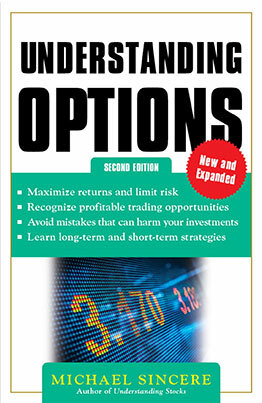 As you know, I wrote a bestselling book on options, Understanding Options 2E. Nevertheless, options are not for everyone. It takes skill, discipline, and good timing to make money with options. 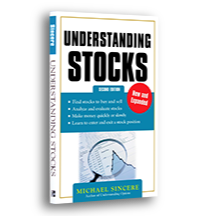 Even trading stocks in this volatile environment is not easy, which is why most investors are wise to simply move to the sidelines for a while (at least three months in my opinion). Obviously, that is a choice only you can make. And don’t forget that financial professionals a lot smarter than me vehemently disagree with what I just wrote. Now that I got that out of the way, let’s look at the facts. The next three months will be critical for the markets. No one can predict what the market will do during the next few days or weeks. I do know there are many warning signs telling us the market is in the danger zone (and has been for a while). Bottom line: This is a chaotic market. I am looking for failed rallies, a retest of the lows from last week, and more volatility because of the Fed. Until the indexes rise above their 200-day moving averages on strong volume, this market is in trouble. More important, I believe the market is at a pivot point and going through a trend change. If that is true, this is a unique opportunity to make (or lose) money. The bulls really need the market to recover this week, and if they are successful, they will breathe a huge sigh of relief. As always, I will wait for the market to have the final say. Meanwhile, be careful out there. 26.8% Bullish. 39.8% Neutral. 33.3% Bearish. Bonds: U.S. 10-year yield is at 2.05% (on 8/21/2015). Analysis: You already know from the headlines that the Dow had its worst week in four years, that it has fallen more than 10% from its high, which is a correction, and that all the indexes fell well below their 200-day moving averages. All of the leading stocks sold off. In addition, the S&P 500 fell below key technical levels including 2080, 2030, and now 2000, which caused major technical damage. Did you see the VIX? It had the highest one-day spike in its history, from the low 12s to 28. At least for a few days, fear crept into the market. Another change was that RSI fell to under 30, which means the market is technically oversold. Therefore, the odds are good there will be a bounce this week, perhaps Monday or Tuesday. On the sentiment side, surveys were conducted earlier in the week so it did not reflect the selloff. I assume that retail investors are feeling more vulnerable now, although there isn’t panic (yet). One of the most important developments was all the market leaders rolled over last week. The leaders had been holding the indexes up, but last week investors sold them off viciously. Bottom line: The long anticipated correction arrived with a bang. This will be a very difficult market environment to manage and many investors, including many pros, are going to get hurt. Opinion: I can sum up the market in two words: “It’s complicated.” Fortunately, I won’t spend one second discussing “why” the market plunged; I’ll leave that to the pundits. But I do have a lot to say about this dangerous market. Today’s blog will be longer than usual. A few weeks ago, I said that a major trend change, or pivot point, seemed to be developing. Last week gave us more clues that the bull market may be stalling. There is one more major clue we are waiting for, and here it is: Based on the oversold RSI and market history, the odds are good there will a bounce this week. 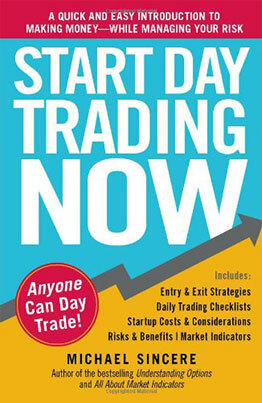 It could come as early as Monday afternoon (after the margin calls are completed), or Tuesday. This is exactly what Wall Street wants, and they should get their way. Nervous investors will sigh with relief that the 10% correction is out of the way. And after the bounce, it will get very, very interesting. If the S&P bounces strongly but does not go back to its previous highs eventually (2000, 2030, and 2080), that would be a negative sign. Yes, the chances are good there will be a rally, but what happens next is the key. If the indexes rally and can retake its previous highs, then the bull market will continue for a while longer. If, however, the rally fails (or if there is a weak rally), and the market keeps falling, Wall Street will scream at the Fed to do something to save the market. Allow me to speculate what the Fed might do based on probabilities: At first, the Fed may do nothing. If the market bounces without outside help, the Fed may stay quiet, as long as the market is relatively calm. If the Fed acted responsibly, it would proceed with a quarter point interest rate hike in September or December, and leave the markets alone. However, based on past Fed actions and pressure from Wall Street and financial pundits such as Jim Cramer and Suze Orman, the odds are high the Fed will delay raising interest rates this year. In addition, if the market keeps plunging, the pressure will be intense to initiate a QE4 style program with a new name. In other words, the Fed will feel obligated to do something to stop the carnage rather than leave the markets alone. Because of the Fed’s expected interference with words and actions, the indexes will be volatile, so be ready for anything. Most of the major Wall Street firms are giving the same advice: Buy on pullbacks and buy on rallies. In other words, buy but don’t sell. Why? Because this strategy has worked in the past. Here’s a minority view: “I’ve been bearish for months and expect a sharper pullback. We are in the early stages of a broader selloff and we expect a double-digit correction before we bounce back.” Ed Shill, chief investment officer at QCI Asset Management. The next few weeks will be fascinating. As mentioned earlier, I suspect that we have reached a pivot point. If I’m right, then the market will let you know. No one, not even the Fed, is bigger than the market, so if this market is destined to go down, it will eventually no matter what the Fed throws at it. Bottom line: This is the time to pay full attention to the market. Fortunes can be made or lost if this is truly a trend change, but it won’t be easy. Very few want this market to fall, and with the Fed’s help, the damage may be contained temporarily. We will soon find out soon enough who will win the week. Based on past history, the bulls are desperate for a strong rally, and they will likely get it. Additional note to speculators: Be careful about stepping into this market too soon. Let the market confirm your opinion before making any big plays. For those willing to buy puts (or short), there will be opportunities over the next few weeks and months. 30% Bullish. 33.4% Neutral. 36.1% Bearish. Moving Averages (daily): The S&P 500 is below its 50- and 100-day moving average, and slightly above its 200-day moving average, and pointing up. Bonds: U.S. 10-year yield is at 2.20% (on 8/14/2015). Analysis: Retail investors are becoming increasingly bearish but not at extreme levels. It’s primarily at extremes that the sentiment indicators are most useful. 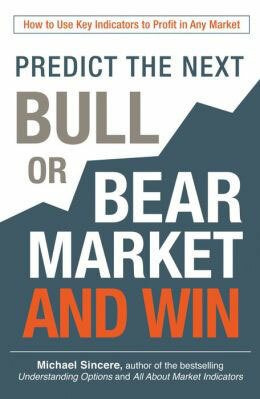 However, financial writers and most pros are still overwhelmingly bullish with very few bears in sight. Therefore, it’s a draw. On the technical side, although the indexes are below their 50- and 100-day moving averages, they are above the all-mighty 200-day and pointing up, thanks to a remarkable intraday reversal on Tuesday. Bottom line: Because of the intraday reversal (and low interest rates), the bulls have the advantage this week. Opinion: Not surprisingly, the first couple days of last week were volatile. As expected, on Monday the indexes bounced strongly, and it looked like it was going to be a great week for the bulls (after a miserable month). On Tuesday, China shocked the financial world by devaluing their currency, sending the futures straight south. 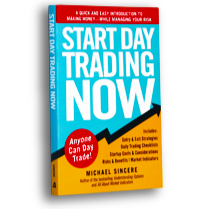 In the morning, the indexes plunged, and the bears were in control. Around mid-morning, after hours of panic selling, an influx of buy orders from computer algorithms and stock buybacks halted the plunge, and the panic subsided. The market drifted upward the rest of the week. As I’ve mentioned before, computer algos (and Wall Street) needs a low-volatile, slightly bullish market, and they got their wish. A complacent market (with the VIX near 12) keeps clients calm. As we enter this week, all seems well with the world once again. At the moment, conventional wisdom is that interest rates will remain low (and that the Fed will not raise interest rates in September), that there will be no more surprises from China, and bonds will keep rallying. Sounds perfect (as long as you are not long commodities or emerging markets). Based on previous index reversals and conventional wisdom, the market “should” shrug off bad news and climb higher this week. Wall Street needs the Dow to return to 18,000; the sooner the better. Putting it all together, I would be surprised if the indexes did not climb higher this week. Although moving averages are negative, the intraday reversal was powerful. In fact, if the indexes do not move higher this week, then the previous pattern will have changed, and that will be significant (it will be very negative). Bottom line: This is the time to be patient and watch. The bulls should win the week, and if they do not, then the financial problems are more severe than anyone realizes. The market is still dangerous, so do not let down your guard. Problems can appear from places no one can anticipate.